Want the best looking sell-sheet or datasheet at your next event? Our designers specialize in company flyer design. Have them printed or saved as a web-friendly PDF. 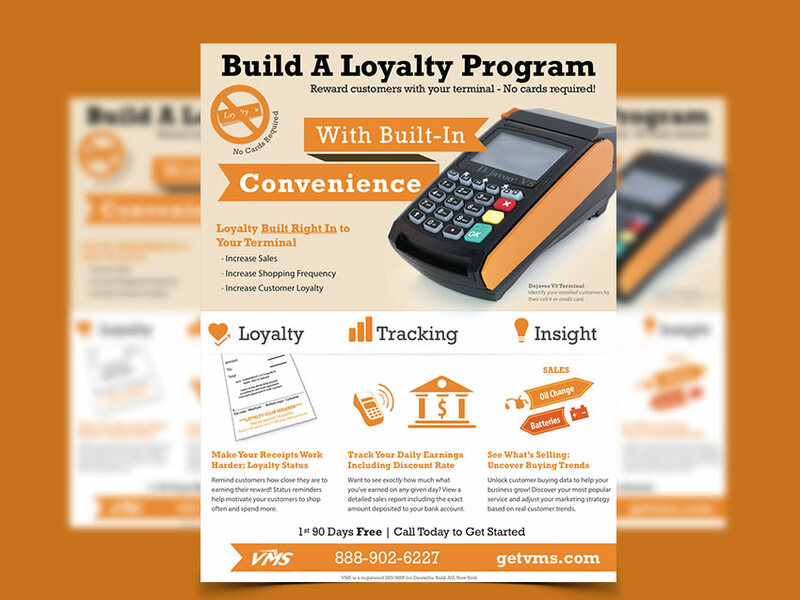 Example artwork: sell-sheet design for terminal-based loyalty program software for a financial services company.